Compare Arnold from Absolutely True Diary with Bobby from The First Part Last. What are their similarities as characters? What is different about them? Is your own protagonist more like Bobby or more like Arnold? 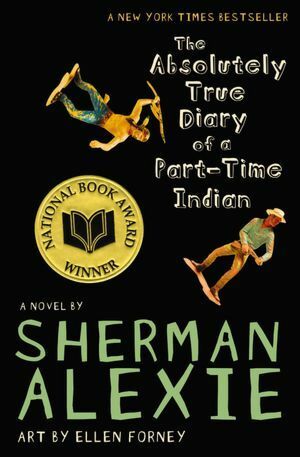 Finally, what can you learn as a writer by studying the characterization techniques Johnson and Alexie use to portray their main characters? Trites writes that for adolescents “trying to understand death is as much of a rite of passage as experiencing sexuality is.” This is what makes Arnold and Bobby both different and similar. Different in that Arnold experiences death more strongly. His grandmother, his sister, and his dad's best friend die in the space of a few months, reinforcing his belief that Indian lives really lead to death and nothing else. Bobby too deals with death, but is more affected by his experiences with sexuality. He gets his girlfriend pregnant, and then has to take care of his daughter. The similarity between these two is that after experiencing these, they’re both take their lives into their hands, and grow up fast. Arnold can’t settle for the bleak and hopeless lives the Indians lead, a path that seems to lead to alcohol and death. So he chooses to leave the settlement and join a white kids school to better himself, even though that is considered “treason” by his tribe. After the death of his girlfriend Bobby has chosen to take care of his daughter against everyone's advice. He knows it won’t be easy, and he will have to give up many things, but he will do it because it’s the right thing. My protagonist would be more like Arnold, in that she’s just changed schools and that changes her life, plus she’s dealing with the death of her best friend. In terms of characterization techniques I've learned that there's a fine line between a characters that’s sarcastic and humorous, and one that its plain annoying. Arnold used a lot of self-deprecating humor at the beginning of the novel, something which started bothering me after a few pages. My main character sees herself as a monster, so from now on I'll be watching just how much she repeats this, even if it's in a sarcastic comment, because it can annoy the reader. And then Bobby takes care of his daughter and be all nice and fatherly, but his inner dialogue is all "I'd rather be doing this and that." That's something I need to work on my manuscript, that inner voice that it's not just narrating but analyzing and arguing over stuff that's happening.